Noiseware Professional 4.1.1 Free Download!! Photoshop is a nice tool for editing images. But to work better you need some plugins. Plugins are somewhat like add ons as we use with internet browsers. And they make your tasks easier. Today I'm gonna share a must have a plugin for photoshop users who work with images. It's known as - Noiseware Professional. Noiseware professional is an amazing tool that works with photoshop as plug in. And it's very helpful to remove unwanted noise from images. And it requires very short time and minimum efforts. After downloading the above file you need to unzip it. You will get a file named Noiseware.8bf in this folder. Copy the file from here. Paste it to to the Plug-ins folder of your photoshop program. I mean this file - Noiseware.8bf should be in the Plug-ins folder of your photoshop program. Run Photoshop in your PC. Open a photo that needs editing. 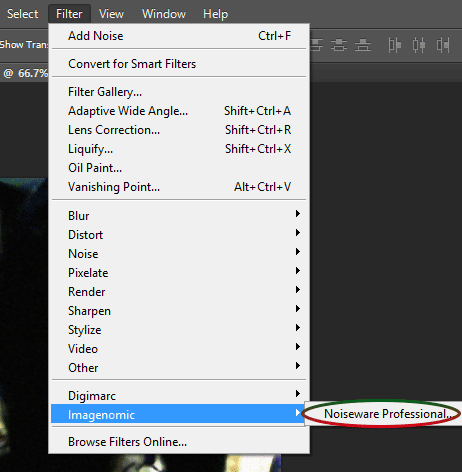 Go to the Filter Menu > Imagenomic > Noiseware Professional . 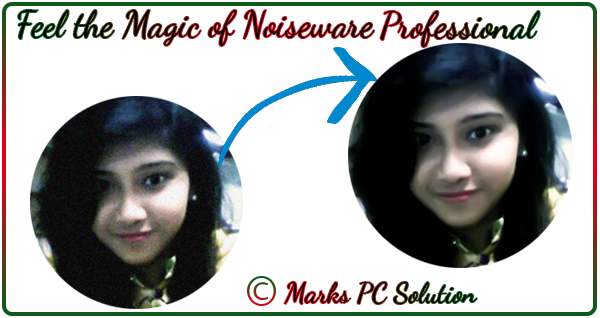 . .
Now your image will be opened in Noiseware Professional window. If that image looks fine, then simply hit the OK button. Or you can tune it through other options available at this window. That's it. Using the preview pane, you can preview your images from different angle. You can also tune the values of different options. But I usually left those settings as they are. 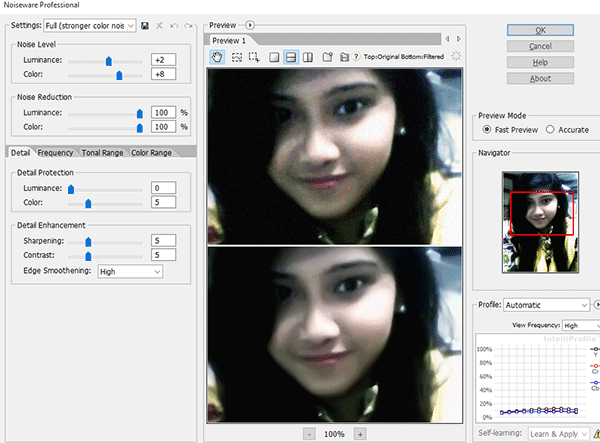 In single preview mode you can use left mouse button to switch between your original image and edited image. Photoshop may not allow using this tool two times in a row. If you try this tool twice in the same session, then program may stop working. So, before using this tool for the second time, you should restart your photoshop. No part of this tutorial (i.e. image, text etc.) can be used in the web, print or any other media without permission. You can only use it for learning purpose. Well, you may experience this sort of problem with a newly purchased Android Phone or Tablet. 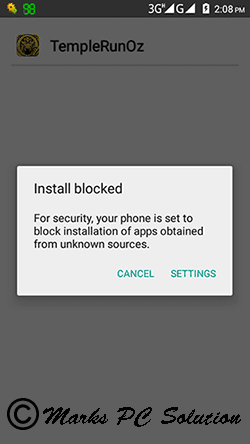 For security reason, by default, installing apps from unknown sources are normally disabled in Android devices. But you can easy install those apps on your phone if you're confident about the security. Let's see how . . .
Before you proceed, you should know . . .
Look at the above image. It also offers a Settings option. If you wanna change this settings, simply hit on the settings button and allow unknown source apps. Go to your phone's settings option. Move to the Personal > Security > Device Administration > Unknown Sources > Allow it. Now you will get a security Warning. Simply hit the OK button. That's it. Your phone and personal data are more valuable to attack by apps from unknown sources. 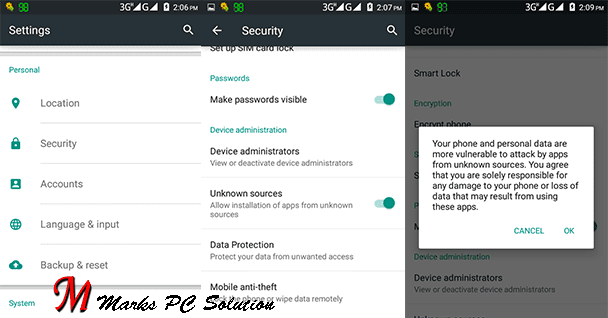 You agree that you are solely responsible for any damage to your phone or loss of data that may result from using these apps. It seems that it's a serious issue. But it isn't actually. 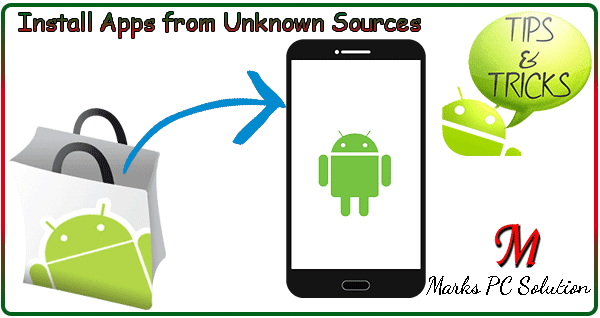 You can install application from unknown sources without any trouble. But make sure those APK files are not harmful. This tutorial has been prepared based on Symphony M1 ; Android Lollipop. Depending on your hardware manufacturer and android version, the images and options illustrated in this tutorial may vary.